anOtherArchitect : Daniel Dendra is one of the characters featured in the documentary film VOICES AND FACES OF THE ADHAN: CAIRO. 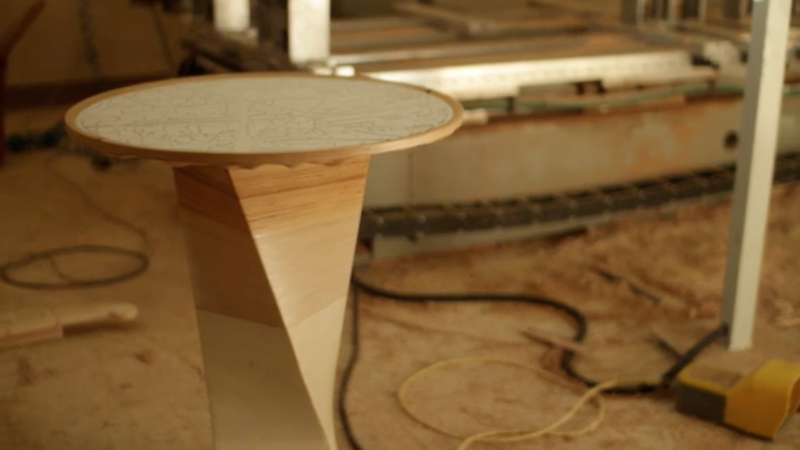 This short video features Daniel, the NoisyTeaTime Table, and the factory where the magic happened, CAT, in Cairo. We were asked by the German Crowd Funding platform Betterplace to design their new offices for 50 people here in Berlin – and we had to realise that if you work for an internet start-up things can not be business as usual. We had a very tight deadline and a small budget to realise their new working environment out of scratch. Within six weeks we managed to finish the first phase of an ongoing process. The basic needs such as electricity, a sanitary unit, a pantry area, meeting rooms and some storage are in place. Continuing working in a collaborative process with the client we will realise more objects such as a lounge area and small meeting places every quarter until we created a better place for them to work. Hopefully it will be the best. We will post some images of the process and the finalised first stage soon. We are happy to announce that anOtherArchitect / OpenSimSim is part of the Sao Paulo team (lead by Urban Think Tank / ETH Zürich) of the 2012 Audi Urban Future Award. Our main responsibility is to develop an online layer to the physical city that can in future enhance the efficiency, fun factor and social interactivity of the future mobility. Part of the team are also our long term FutureCityLab partners Transsolar and Mobility in Chain (Milan) and we currently are developing some very exciting ideas. 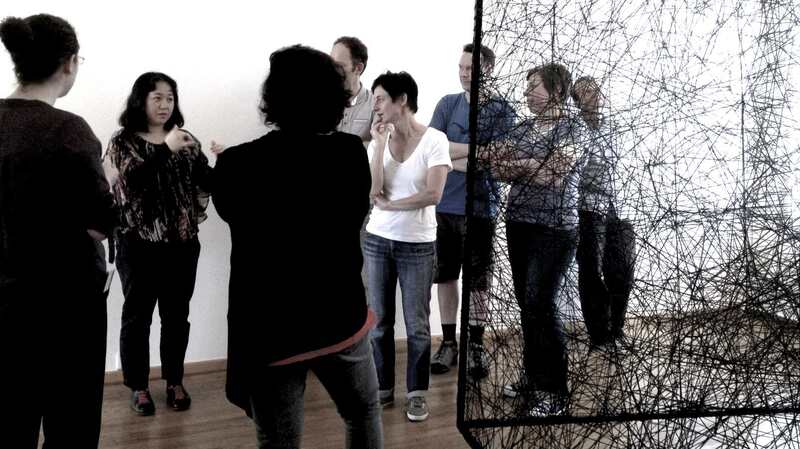 anOtherArchitect is currently collaborating with Berlin based Japanese artist Chiharu Shiota on several projects. We are proud to be involved in the artistic development and support the renown artist with our knowledge. Chiharu is well know for her black treaded sculpture which were exhibited at the 2011 Venice Art Biennale and Art Basel. This year Chiharu Shiota won the prize for the best exhibition at the Kiev Art Biennale. We will publish more information on the projects soon. 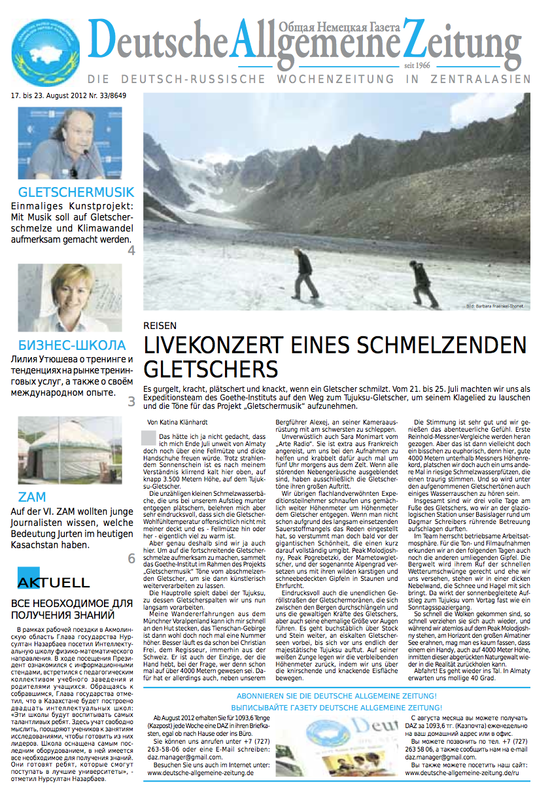 Gletschermusik Project is published in the German newspaper for Central Asia: Deutsche Allgemeine Zeitung. 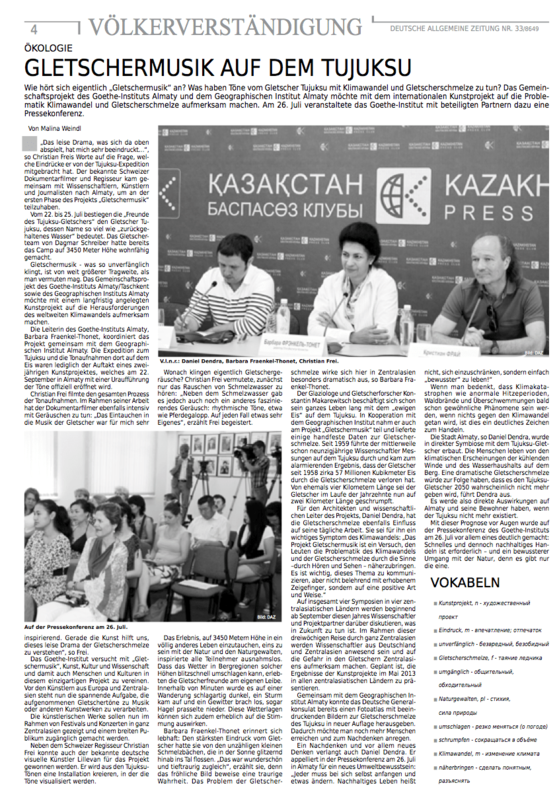 At a press conference in Almaty (Kazakhstan) anOtherArchitect : Daniel Dendra was announced scientific curator of the Gletschermusik project (glacier music / Музыка Ледника). “Glacier Music” is an initiative by the German Goethe Institute with the aim to create awareness of the melting glaciers in central asia due to global warming. The first part of the project was an expedition to the Tujuksu glacier to record sounds of the melting ice. The expedition was filmed by Swiss documentary film maker Christian Frei and supported by ARTE radio. The sound recordings will be used for an open call to artists of the region curated by Berlin based visual artist Lillevan. Daniel Dendra will moderate 4 seminars in September in Uzbekistan, Kyrgyzstan, Kazakhstan and Tajikistan and a conference in Tashkent in November. Daniel Dendra was interviewed for the London based NEW SCIENTIST magazine by Natalie Holmes. The article is asking the question “Where should we start if we want to transform our cities?” by looking at the BMW Guggenheim Lab and the FutureCityLab (both located at the AEDES Campus in Berlin in Summer 2012). ROUNDTABLE: RE-CLOTHING THE CITY – WHAT IS THE RELATIONSHIP BETWEEN FABRICS AND URBANISM? Buildings are responsible for about 50 % of the countrywide energy consumption. The EU-carbon roadmap is envisioning a 90% carbon reduction of the building sector until 2050. This requires a re-clad- ding of the entire building stock within the European Union – other countries will certainly follow. Combined with insulation, fabrics can potentially play a significant role in this re-cladding task (fabric composites / high tech fabrics like used for outdoor clothing). Fab- ric re-cladding systems could potentially be inexpensive, provide a relatively fast installation and has an “adjustable” esthetics. Join us on the 4th of July at the AEDES gallery in Berlin! 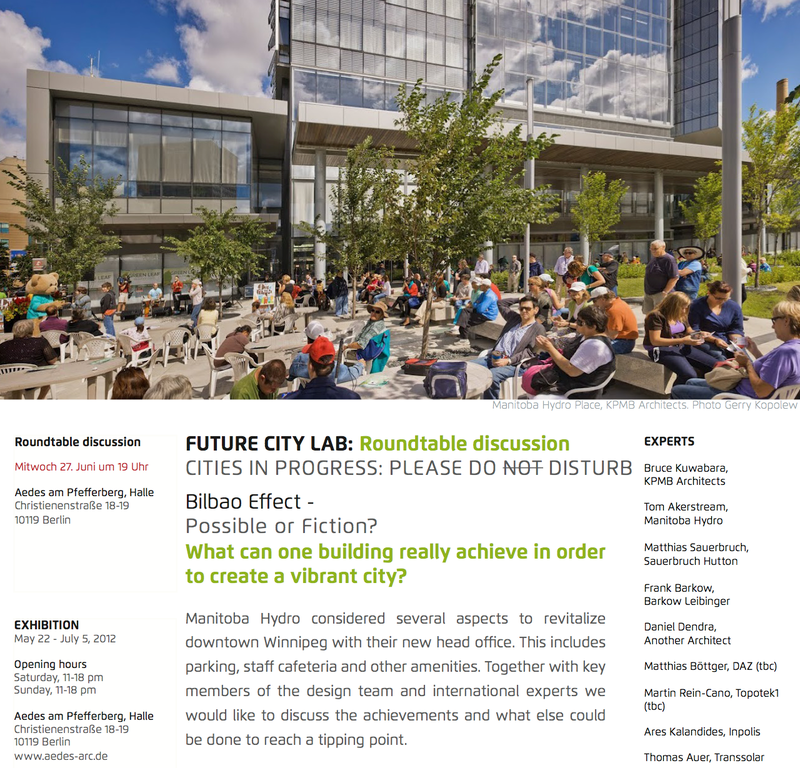 Daniel Dendra is part of a experts roundtable at the FutureCityLab in Berlin discussing the Bilbao effect utopia. Join on the 27th of June at the AEDES gallery. Manitoba Hydro considered several aspects to revitalize downtown Winnipeg with their new head office. This includes parking, staff cafeteria and other amenities. Together with key members of the design team and international experts we would like to discuss the achievements and what else could be done to reach a tipping point.